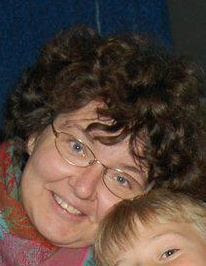 Many readers will recall that the wife of CFZ member and Danish cryptozoologist Lars Thomas went missing earlier this year. Tragically, there has now been a resolution in this case with the discovery of Jeanett Rask's body. Our hearts go out to Lars and his family during what has been an incredibly difficult time for them all with the loss of their beautiful Jeanett. Please remember them in your thoughts. 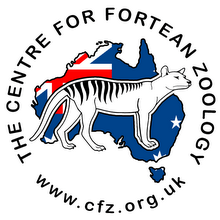 The full story is over at the Centre for Fortean Zoology main blog. 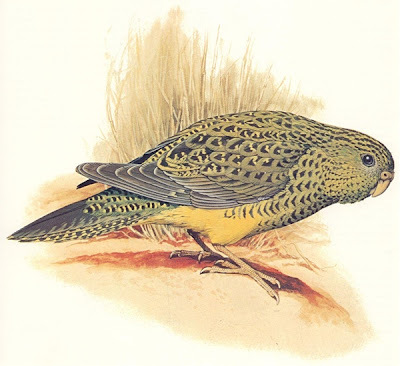 Dr Mike Bunce from Murdoch University will tell us about his groundbreaking research extracting DNA from extinct birds. 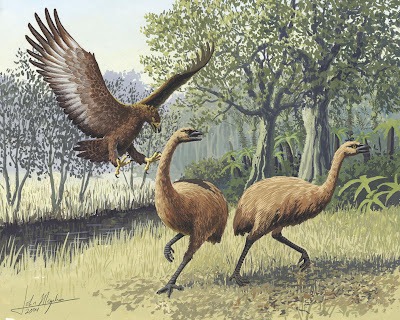 From the fossilised poo of the twelve foot moa bird of New Zealand, to eggshell fragments from the massive Madagascan elephant bird, ancient DNA can reveal more about what these creatures ate, how they evolved and how they became extinct. 4 September - Why is a duck a dinosaur? Join us for a live dinosaur dissection with Curtin University’s Associate Professor Kate Trinajstic. Tyrannosaurus Rex and Triceratops haven't walked the planet for 65 million years, but are dinosaurs all extinct? The 2010 Prime Minister’s prize winner will dissect a barbecue duck to show that avian dinosaurs are alive and well today, and discuss her own research on fossil fish. 24 September - Ancient volcanoes and asteroids: Where did the dinosaurs go? What dramatic change occurred nearly 66 million years ago to cause the mass extinction of the dinosaurs? Curtin University geochronologist Dr Fred Jourdan will guide us through the myths and facts of volcanoes and asteroid impacts, and show us how several factors probably contributed to the dinosaurs’ demise. Cost: $5 per person, or free to Scitrekker members. The fee includes time in Scitech’s Explore-a-saurus exhibition which will be open before and after the lecture (6pm-8pm) Bookings are essential by following the Trybooking links at http://www.scitech.org.au/events/events/lecturesaurus-series.html. 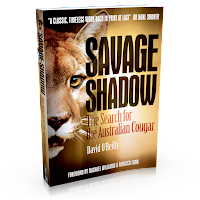 We're pleased to see Dr Darren Naish's review of our books Australian Big Cats: An Unnatural History of Panthers AND Savage Shadow: The Search for the Australian Cougar continues to be one of the most popular posts on his Scientific American blog, which has just chalked up its 100th post! 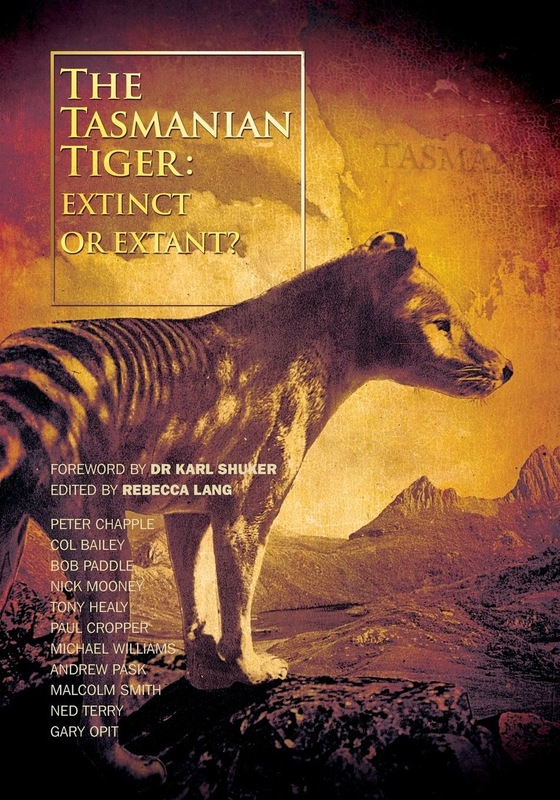 "It is, to date, the ultimate book on the subject and one that should definitely be consulted by anyone seriously interested in Australian cryptozoology, or indeed in cat lore or biology in general. 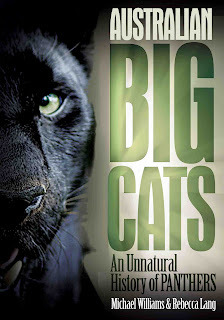 Given that Australian ‘big cats’ – whatever they are – have received all too little ‘official’ attention, will this huge book be the catalyst that helps break down the stigma that still surrounds this fascinating subject?" To celebrate the fact we have two books out now and a third underway (shhhhh! a secret for now) we want to run this fabulous competition to reward you, our loyal readers and Facebook likers! 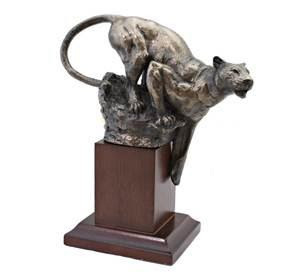 Win this beautiful David Geenty cold-cast bronze sculpture of a Puma/Cougar/Mountain Lion mounted on a wooden base. We love this so much we have one of our own on our bookshelf (and no, you won't be getting that one!). 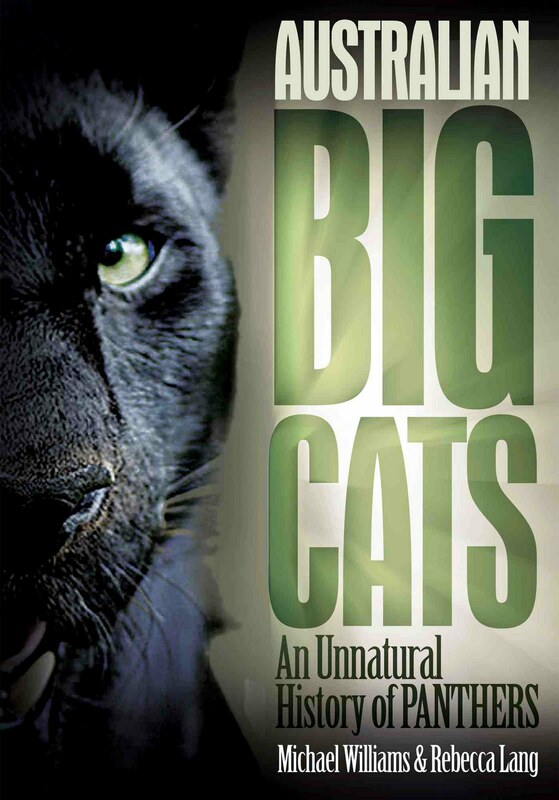 You will also win two signed copies of Savage Shadow (1 copy) AND Australian Big Cats: An Unnatural History of Panthers (1 copy). Altogether the prize is worth more than A$120! 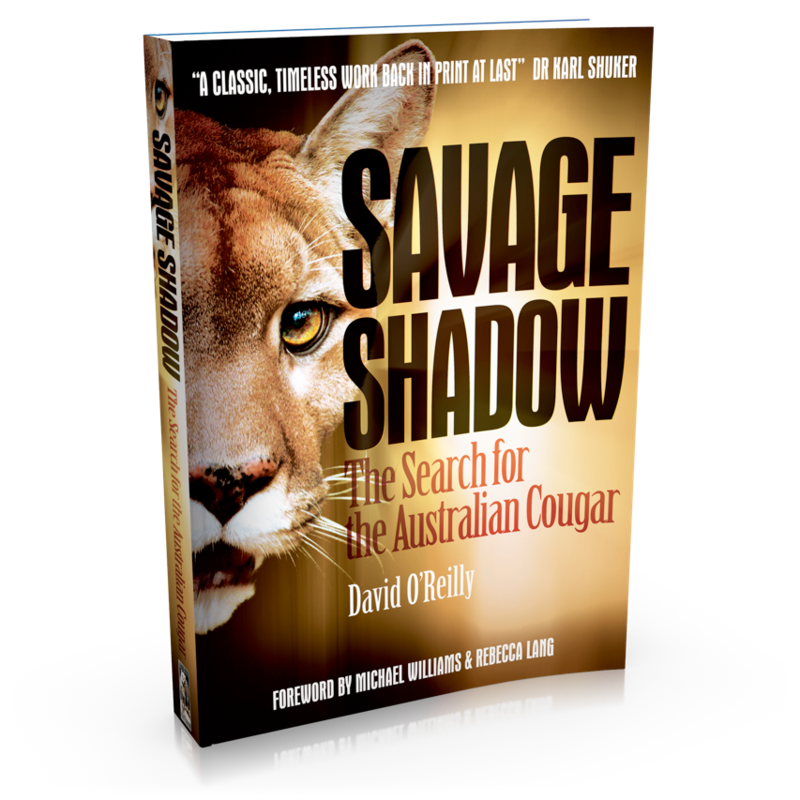 To go into the running, you need to post a review(s) of one or more of our books (Australian Big Cats: An Unnatural History of Panthers and/or Savage Shadow: The Search for the Australian Cougar) to Amazon.com and/or Amazon.co.uk. It's easy to join these sites and your positive reviews will help support us in selling our books. The more reviews you post, the better your chances! The maximum number of times you can enter is four (4) - a review of each book on both sites. We will be drawing the winner (there is only one (1) prize) on Sepetember 1. This competition is open to all. So get moving and get your reviews posted! This Yowie-plagued property yielded a few surprises for our cameraman - strange (marsupial?) prints all over the window of the occupant's car. 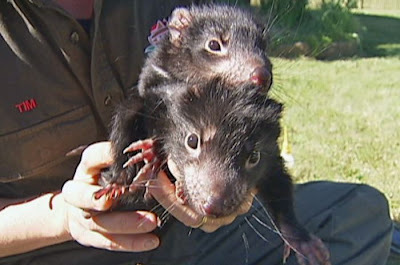 Scientists say strong evidence is emerging that the catastrophic Tasmanian devil facial tumour disease should be regarded as a parasite. 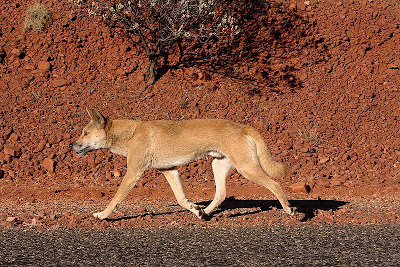 The disease, which has wiped out 80 per cent of the devil population in the wild, has been treated as a transmissible cancer. But immunologist Greg Woods from the Menzies Institute says it also shows many classic parasitical characteristics. 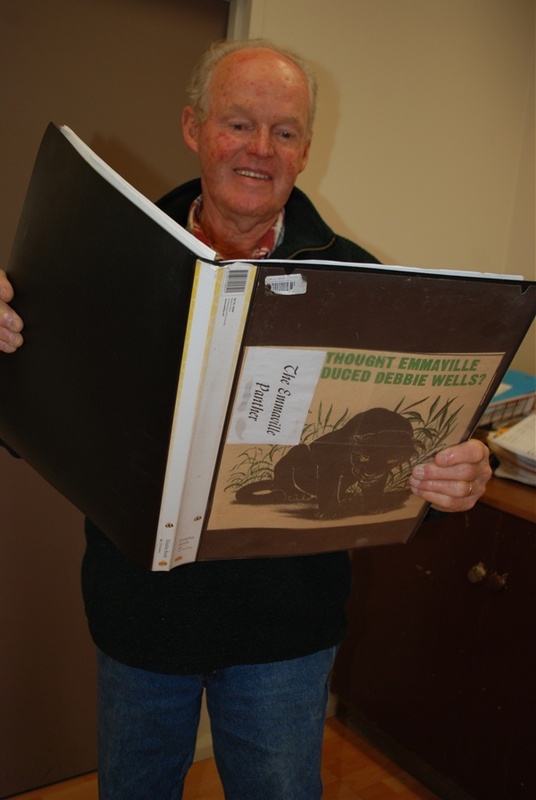 "It's a cancer and a parasite," he told AAP before delivering his findings to the Australian Society for Parasitology's conference in Launceston. "It goes from host to host and using each host to survive, and it will damage its host and move on to the next host so it's behaving like what we classically regard as being a parasite." Also like a bona fide parasite, it uses the host's natural behaviour to spread itself, in this case the devil's insatiable appetite for violence. "You drink water so you pick up a parasite," Associate Professor Woods said. "With the devil, the tumour gets on the teeth and devils bite each other." There is other evidence too - the disease avoids the immune response of the devil by covering itself in its host's proteins. The question remains, though, whether it can be considered a "perfect" parasite like malaria because it has not yet managed to survive in more than one species. But it is its parasitic behaviour that makes the tumour disease fundamentally different from the form of cancer that humans contract, Prof Woods said. "The question is: Are cancers parasites because they live off the host?" he said. "The thing about the cancer that us humans get is that once the human dies or recovers the cancer dies as well, whereas this tumour goes from host to host." The origin of the disease has been traced to a single cell in a single female devil in the 1990s but it is unknown how she contracted it. 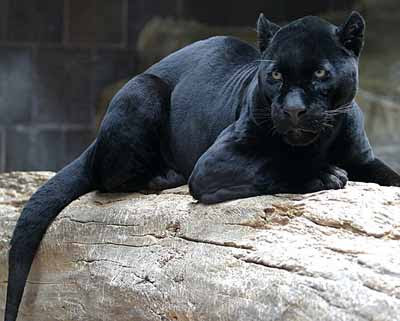 Scientists are in a race against the clock to find a cure, with some estimates suggesting devils in the wild could be extinct in 25 years, and there have been few breakthroughs.